This exercise asks me to respond to the photograph Derriére La Gare Saint-Lazare. Homage is creating a photograph which takes it’s idea from another photograph or painting. Whilst this is not something that I have intentionally done in the past, I have created two of these since I started this course. 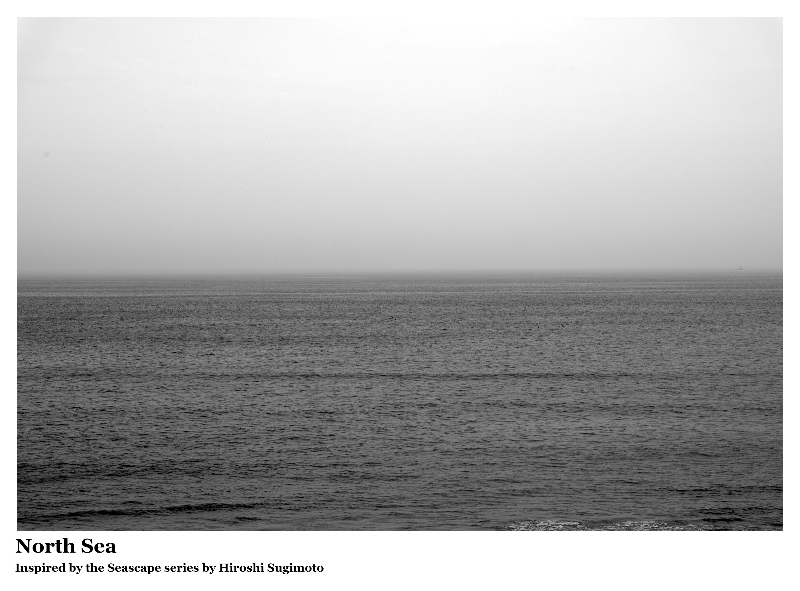 The first was inspired by Hiroshi Sugimoto’s Seascape series. Exercise 5.2 required me to take a photograph in homage to any photographer. Having recently visited the exhibition of Robert Mapplethorpe’s photographs in Aberystwyth, I was particularly struck by one of the portraits. That portrait was of Doris Saatchi, the first wife of art collector Charles Saatchi. This exercise is called “The distance between us”. I wasn’t absolutely sure what this meant, but a discussion with my tutor told me that it referred to emotional distance.